At Dinard Airport there is a 300-space outdoor car park, secure but uncovered. A private parking area is available for motor caravans of all sizes. 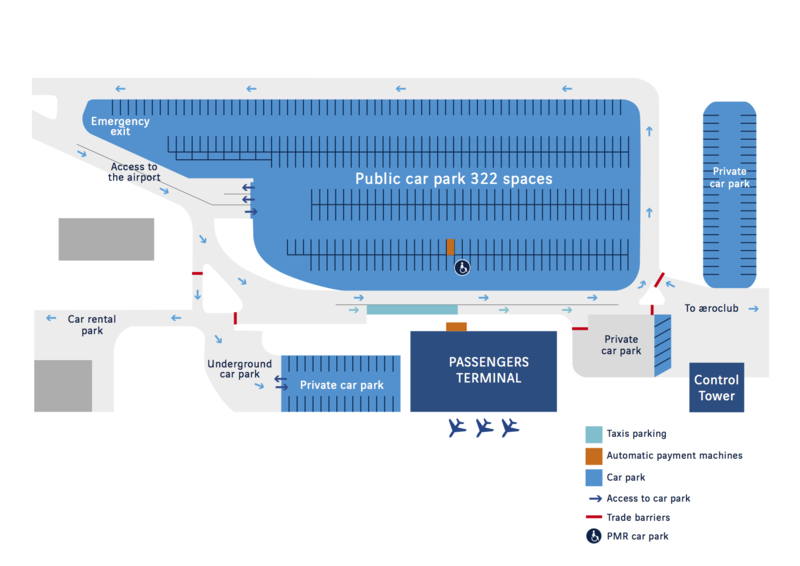 To access the car park, simply visit the information desk and the receptionist will give you the access code. For details, call: +33 (0)2 99 46 18 46. 24 hours a day, 7 days a week, for the outdoor car park: payment is with a credit or debit card. You can pay with a credit or debit card, or with cash at the automatic payment machine in the terminal building. You can also pay with a credit or debit card at the machine as you leave the car park. To benefit from these rates for frequent users, you must visit the Ryanair desk at least 2 hours before your departure to complete some forms and make a payment. A 50% discount is available on the price for the underground car park for motorbikes with side-cars only.